Jane Eliza Welham was born on 29/8/1836 in Essex, England, and died at Millers Point, N.S.W. on 26/6/1875. She was buried in Rookwood Cemetery, N.S.W. with her youngest son, Wilfred Henry in an unmarked grave. She married James Alexander Shaw (b. 16/11/1828 Ballygary, Co. Antrim, Ireland, arrived on ship Elizabeth 16/4/1850, religion Presbyterian, could read - d. 13/11/1878 Townsville, Qld) on 22/3/1855. James Alexander Shaw b. 15/3/1856 Newcastle, N.S.W. - d. 1929 Tenterfield N.S.W.) on 22/3/1855. Catherine J. Shaw b. 1859 Rylstone, N.S.W. William Shaw b.1860 Newcastle, N.S.W. Mary A. Shaw b.1862 Sydney, N.S.W. - d. 1863 Sydney, N.S.W. Francis W. Shaw b.1864 Sydney N.S.W. - d. 1928 Sydney N.S.W. Annie Augusta Shaw b. 1866 Sydney N.S.W. - d. 25/01/1948 Ryde, N.S.W. Alfred Ernest Shaw b. 1869 Sydney N.S.W. - d.1940 Ryde N.S.W. married Emily Mary Eliza McCarthy 17/08/1889 at St Thomas' Balmain, NSW. Amy Florence Shaw b. 1871 Sydney N.S.W. 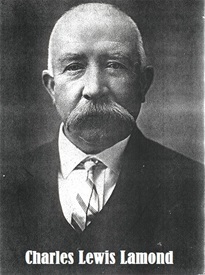 Wilfred Henry Shaw b. 1874 Sydney, N.S.W. - d. 1874 Sydney, N.S.W. Eliza Jane Lamond (nee Shaw) Jane & James' eldest daughter. 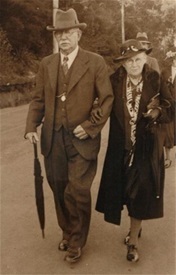 Annie Augusta Shaw (7th child of Jane Eliza (nee Welham) and James Alexander Shaw, photographed with her second husband Arthur Hacking. You don't happen to have a death certificate for Jane Eliza do you? I can't find her death record anywhere except the newspapers.